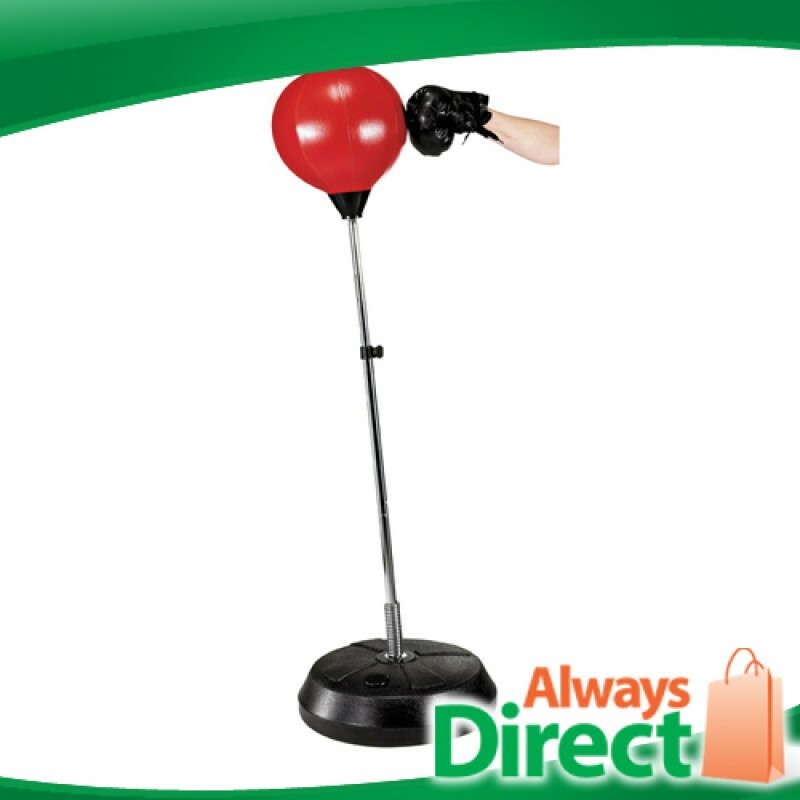 This boxing fitness set includes a stand-alone punching ball, set of gloves and ball pump. 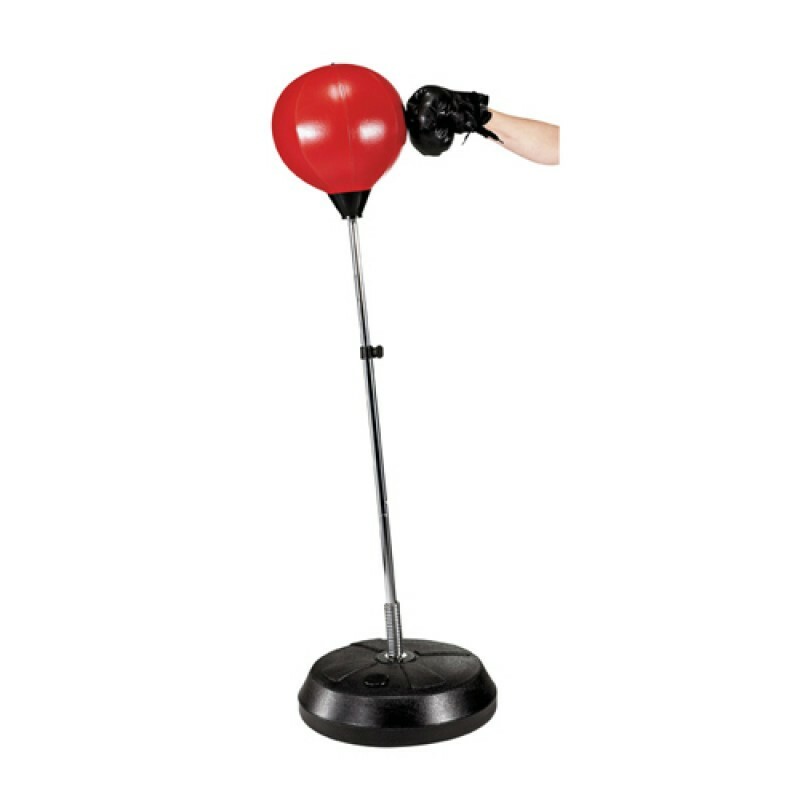 The punching ball features an adjustable height from 126cm-146cm and boasts a tailor-made faux leather ball. 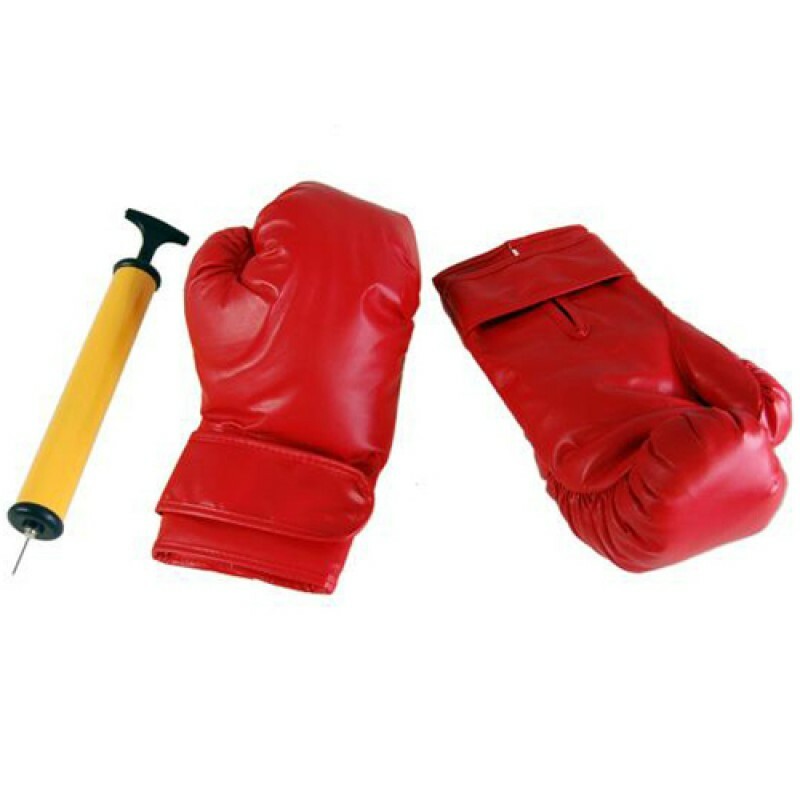 Padded for your protection the gloves are super comfortable and are also adjustable for that ideal tight fit. 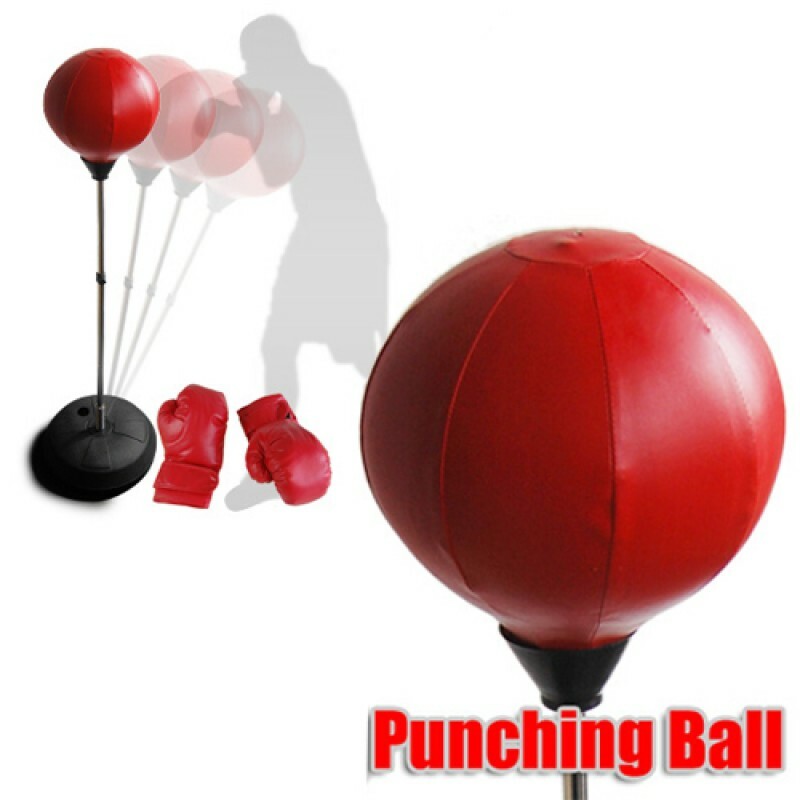 So whether you want to have a low level workout or really push yourself the punching ball set is a great choice! 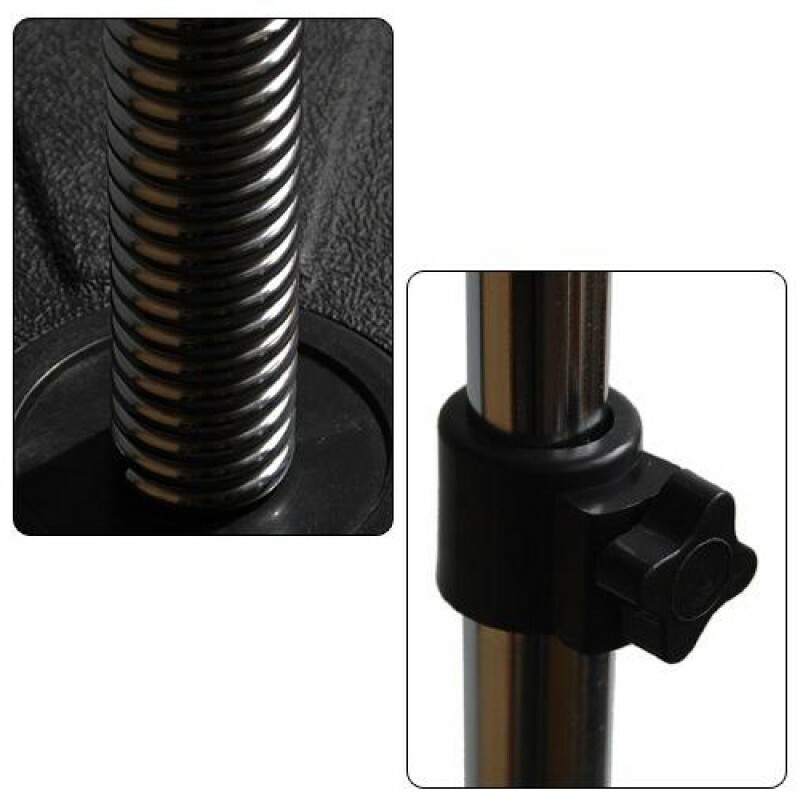 This Easy To Use work out product is the perfect way to improve on your fitness and wellbeing, increase your endurance or to simply Relieve Some Stress. This Punching Ball Set comes with a pair of flat Training Gloves to assist you with your workout.